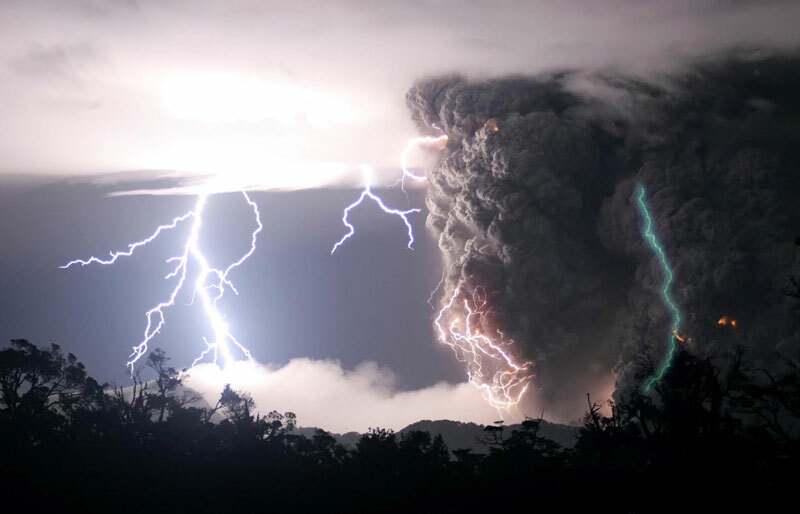 Lightning can happen as a result of a volcanic eruption. As the hot ash rises through the cooler atmosphere, transfer of charge occurs. This excess of electrons within the cloud makes it act like a capacitor, and should the conditions be correct, huge electrical discharges may be observed as bolts of lightning during volcanic eruptions. It seems that the Chaiten volcano’s recent activity has created the perfect conditions for such a show, allowing photographers in the region to capture some stunning images. I actually saw the picture shown at the top of this article in a double page spread in today’s edition of the UK’s Daily Mail. At first I couldn’t work out what I was seeing but on reading the caption I soon realized it was connected with the recent eruption in Chile. 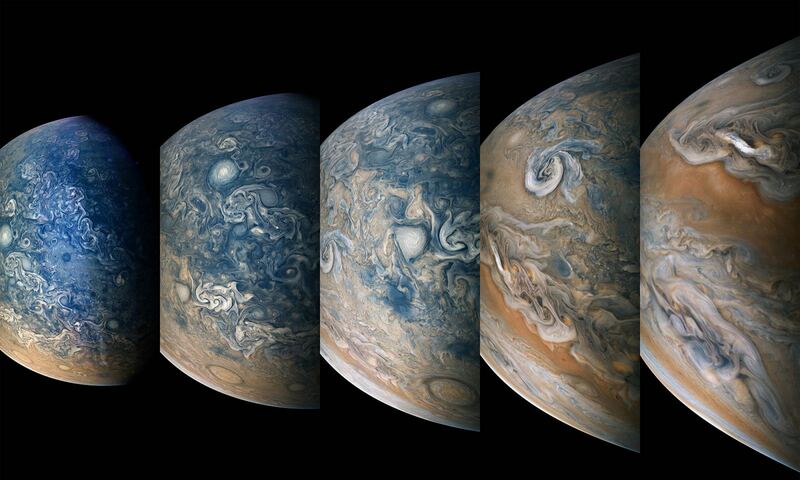 Fortunately the Daily Mail also posted the article on their website, giving me the opportunity to share these incredible images on the Universe Today. This region of South America has some very active plate tectonics and has been dubbed “Andean Arc” region of Chile, Peru, Ecuador and Columbia containing around 200 to 300 volcanoes. Volcanologists are highly concerned as many of these volcanoes are located in densely populated areas, so they are studying the Chaiten eruption very carefully. The small town of Chaiten is being threatened by this particular eruption, but fortunately the surrounding area is otherwise unpopulated. Someone, PLEASE, make a 1920 x 1200 version of this image as a screen background!!!!!!! Thanks for the jpg its my new wallpaper ! What are those fainter blue-tainted rays seen in the first two images, BTW? Afterglows? I actually think it looks like a big buffalo! there are GREEN bolts if you notice . Any chance of a better multi size quility one ? The green bolts are actually refreactions from the lens and the brightness of the main bolts. Its scary to see what the Earth is really capable of. Amazing! The beauty of this planet!!!! The power & wonder this planet has to offer – – I’m in awe of Nature. Looks great..but there is a lot of people suffering because they have to leave their houses.. I think it looks more like the minatour released from its labyrinth. That is one big dirty cloud. Thanks. I think it looks like a huge spaceship enters the Earth’s atmosphere in some sf movie. I see a deliverate attempt to deflect solar radiation. I saw this picture on CNN the other day and just HAD to share this with my family. I do see the big angry elephant! We also see two other things, but the elephant is the best one. The picture also loooks like a big angry gorilla in profile on feet and knuckles, facing left. The second thing that we see is a skull looking at a tornado (quite evil looking if I do say so myself)- the trunk in the picture would be the tornado- the right side of the picture would be where the skull is, in left profile… the skull’s forehead leads to a brow ridge, then lit eyes under the ridge. It then proceeds to the concavity where the nose would be, then there is a sllight forward jut of the top jaw. This is where the teeth begin, and these are lit too. then the skull ends with an amazingly accurate jawbone. Just thought I’d share that with y’all. Thanks elephant seer! Amazing show from Mother Nature. Anybody have a link to purchase this picture for framing? That is one beautiful picture. awsome it does look like an angry elephant….huh i wonder what the lightning bolts r doing in 1 place…did u c that???? PD: can you see the faces formed in the ash clouds? This is one of the most AWESOME photos I have ever seen in my entire life. WOW! Great Pix… Thats life in LatinAmerica just AWESOME!!! I noticed that this is not the first time at all that you write about this topic. Why have you chosen it again? Previous PostPrevious Snow on Mercury?